ASB surprised two students nominated by teachers for Duke and Duchess. The Duke, Tyler Clendaniel, is a senior at College Place High School and has been a student in the College Place School District since kindergarten. He is a very bright student with high hopes and dreams. Two of his interests are Minecraft and dolphins. The Duchess, Isabelle Sullivan, is a CPHS student and has been in the College Place School District since the 8th grade. She likes listening to boy band groups and loves to be a friend to everyone. She's a happy girl with lots of friends. 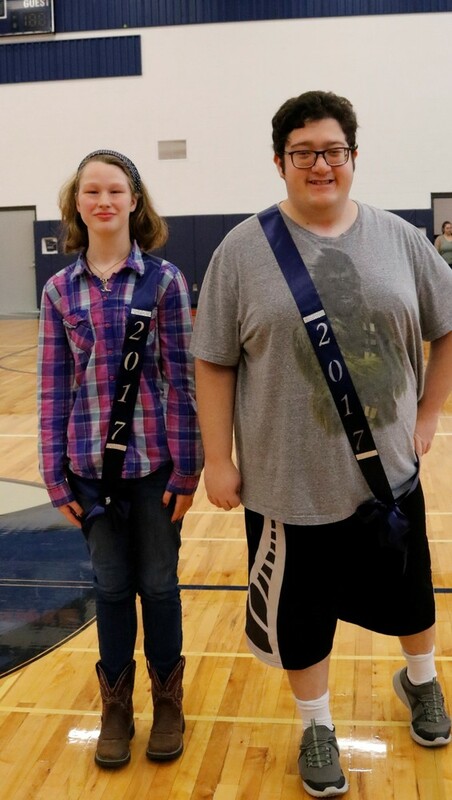 Depicted in this photo is Isabelle and Tyler receiving their sashes during the first homecoming assembly. Izzy said she was happy and surprised. Tyler also had a lot of fun participating in the homecoming assembly games.